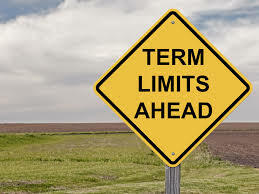 Whereas not having term limits has created a permanent political class intent on preserving their own careers, aided by a complacent media and campaign finance laws which favor those in power, we the undersigned believe it is time to place a term limits amendment to the state constitution on the general election ballot in Minnesota. 1) Allowing the current system of unlimited terms is detrimental to the state and the people of Minnesota. 2) National polls indicate near 75%(ftnote 1,2,3) support for term limits. 3) Minnesota specific poll indicates 83%(ftnote 4) support for term limits. 1) Any person serving as Minnesota governor, lieutenant governor, secretary of state or state auditor shall be limited to two(2) terms in each position during their lifetime. 2) Any person serving as Minnesota state senator shall be limited to three(3) terms during their lifetime. 3) Any person serving as Minnesota state representative shall be limited to four(4) terms during their lifetime.